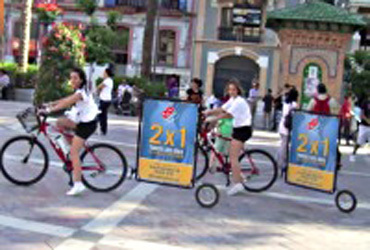 Our riders take your message wherever your audience is. Take it where the people are. 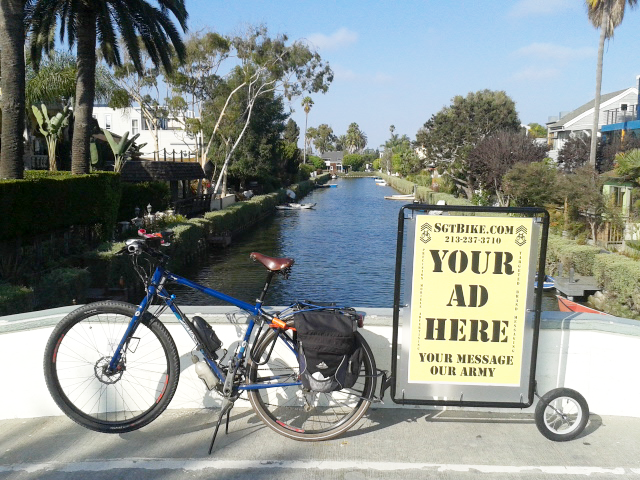 Your advertising can go anywhere a bicycle can go. 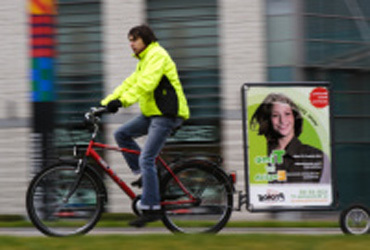 Bike Advertising isn't just a good idea, it's what everybody is looking at! 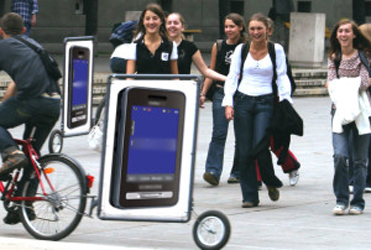 Our riders can go anywhere you like, on the streets, beaches, even sidewalks and malls! This isn't messaging, it is targeted advertising with laser-sighted, pinpoint accuracy. All you need is a message and an audience, we work out the logistics. 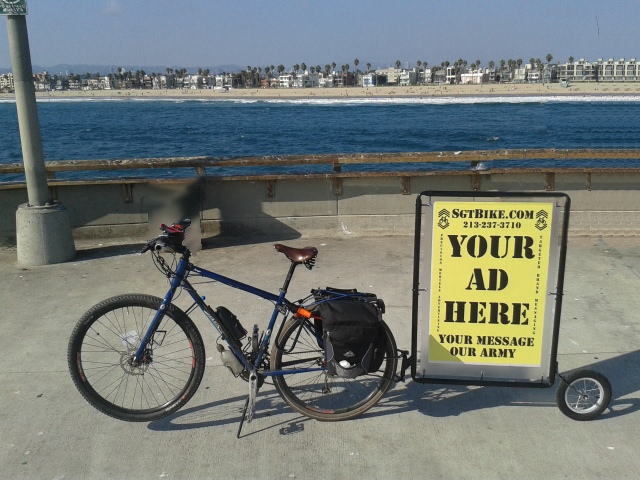 Our advertising contributes to neither atmospheric or visual pollution. 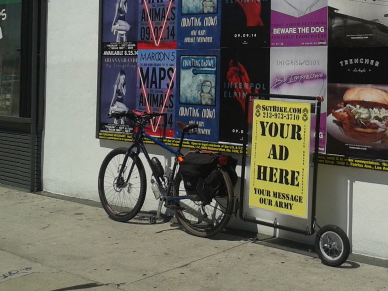 Use your advertising budget on the newest, cutting-edge advertising trend! when we're out in the real world, people get the message! A few kind words can tell you a lot about us! Getting the word out when i want it and where i want it. Can't ask for a better return on your advertising $$$$$ !. Founder & CEO, Whisper Pictures, Inc. Hands down the best way to pinpoint a target audience, no better way to get our ads where we need them!